”At that point, I selected a large eight-inch Danny swimmer and cast it into the wash. That plug did not move 10 feet before a determined bass crashed it and sunk its jaw into the big treble at the head of the swimmer. ”The price varies week to week. A couple of years ago, a pound of elvers was selling for more than $2,000 a pound. 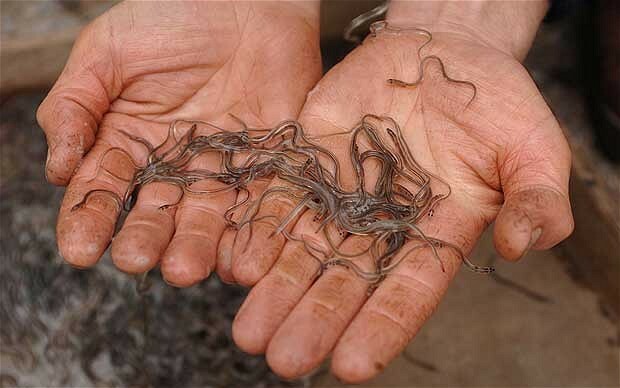 Successful elver fishermen in Maine (one of only two U.S. states that still allow elver fishing) can catch upwards of 40 pounds of the squirmy little devils in a single night. In two or three hours, that fisherman can scoop up $40,000 in the net. "There are reports that when the price was at its peak, a couple of really expert elvers took home more than $100,000 in a single night.